You'll explore the less-touristy side of things at Pima Point and Hermit Trail. 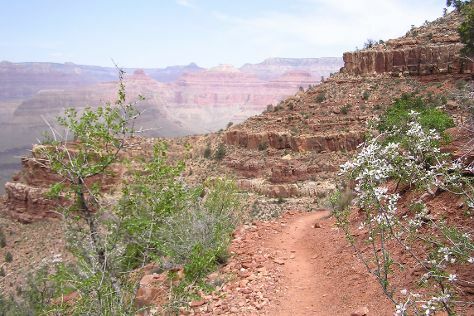 Take a break from the city and head to Kaibab National Forest and Hermit Trail. You'll find plenty of places to visit near Grand Canyon National Park: Supai (Mooney Falls & Navajo Falls), River Rafting & Tubing (in Marble Canyon) and Coal Mine Canyon (in Tuba City). Spend the 10th (Thu) wandering through the wild on a nature and wildlife tour. Spend the 21st (Mon) exploring nature at Grand Canyon National Park. Next up on the itinerary: get great views at Navajo Point, take in breathtaking views at Moran Point, stroll through North Kaibab Trail, and appreciate the history behind Powell Point. To see ratings, where to stay, reviews, and more tourist information, read Grand Canyon National Park online trip maker . Danville to Grand Canyon National Park is an approximately 19.5-hour flight. You can also drive. Traveling from Danville to Grand Canyon National Park, you'll gain 2 hours due to the time zone difference. Traveling from Danville in January, expect little chillier with lows of 15°F in Grand Canyon National Park. Finish up your sightseeing early on the 22nd (Tue) so you can travel back home.